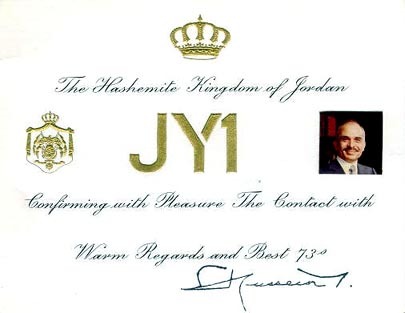 This is a page for JY1,King Hussein who loved HAM and DX very much. Say 73s forever to ex-JY1! Please Click His QSL ,you can hear his QSO with JA8EAT. Special thanks to JA8EAT for your great cooperation!